Former Brazil striker Ronaldo has played down criticism of countryman Neymar’s theatrics at the World Cup, saying the allegations of play-action was “nonsense” and that he was not protected by referees. Neymar has been accused by several media outlets besides past and present footballers for diving and exaggerating fouls. Among those to criticise Neymar’s theatrics are former England strikers Gary Lineker and Alan Shearer, Argentina legend Diego Maradona and former internationals Pat Nevin, Peter Schmeichel and Eric Cantona. Mexico coach Juan Carlos Osorio too recently spoke of “too much acting”. “When people repeatedly hit me I would feel a sense of unfairness. Criticism is nonsense. TV shows and newspapers just want to fill the space,” Ronaldo said. He said critics should be more objective, and claimed that referees were not providing sufficient protection to Brazil’s No. 10. 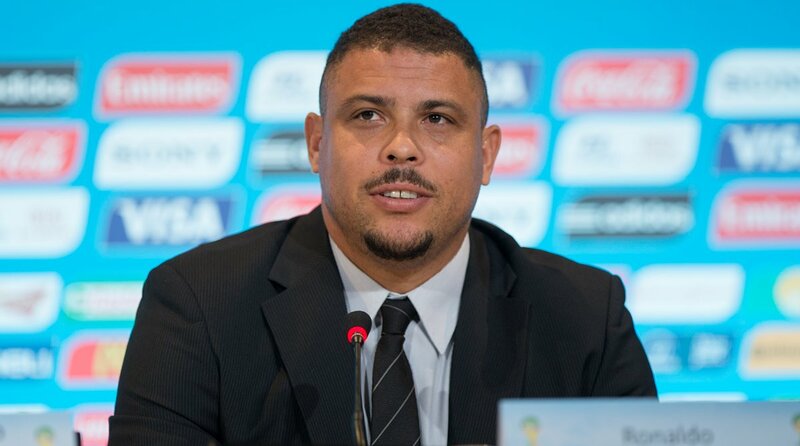 “We have to be more technical in our comments and not like punters in a bar,” Ronaldo said during an event in Moscow. “Football is interpreted in many different ways and there are many opinions. Neymar uses his mobility to defend himself from the bumps and hits that are dished out to him. The referees have given him little protection,” he added. Unbeaten in their four matches so far, Brazil are now strong favourites. Having conceded once one goal till now, the team’s next encounter is with Belgium when they meet in the quarter-final clash on Friday. The winner will play the winner of France-Uruguay match in the semi-finals. Ronaldo however said he didn’t want Brazil to face face France. “We always have problems playing against France so I hope they get knocked out before facing Brazil,” he said.